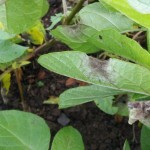 As a result of conversations with community gardeners this week, today’s post looks at the alternative to spraying for potato blight every year, by planting blight resistant varieties instead. 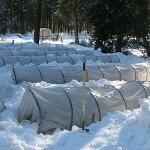 I’ve written an extensive post on choosing, understanding the terminology and growing potatoes in the past. 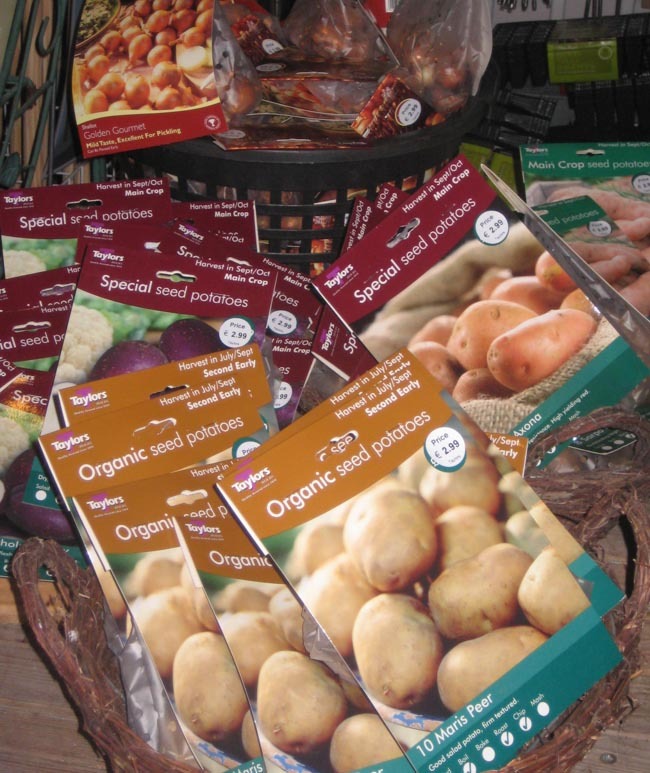 I’ve also written one listing eight ways of managing potato blight, but as minds turn towards garden centre shelves and catalogues full of seed potatoes, blight resistant varieties can offer a real alternative to spraying. 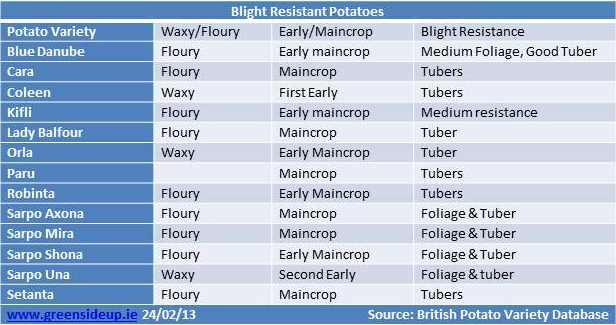 Why Choose Blight Resistant Potatoes? If you choose blight resistant varieties it will eliminate the need to spray with fungicides. I remember Irish weather forecaster Evelyn Cussack telling us that Ireland sees blight conditions nine years out of ten. 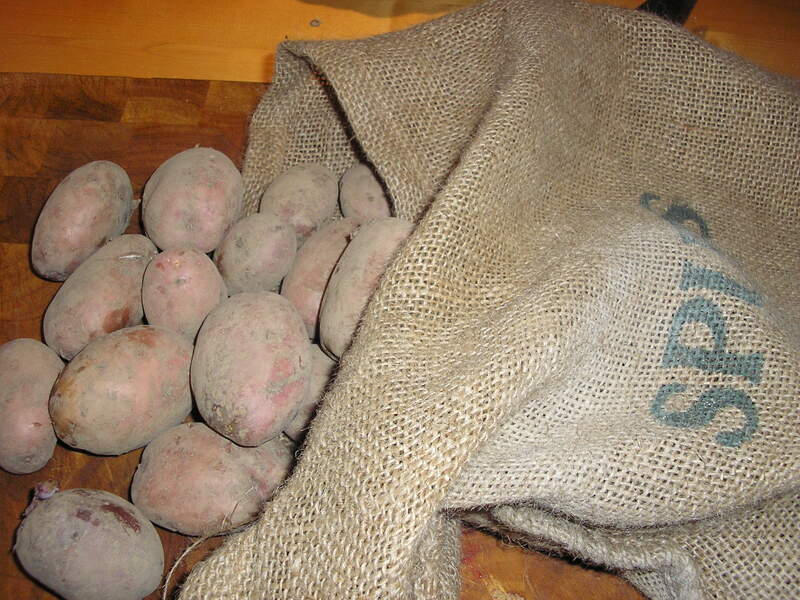 For several years we’ve grown Sarpo Mira potatoes in our garden. They’re a maincrop variety so are actively growing during the usual humid months that the blight fungus (Phytophthora infestans) thrives. So far the Sarpos have never been infected with blight, even when the tomatoes succumbed (same vegetable families will pick up the same diseases). Feeling complacent from our blight free years, last year I planted Red Duke of Yorks (not blight resistant but I’d heard they were delicious). I didn’t spray with the organic blight alternative Bordeaux Mixture, as we generally steer clear of all sprays here, organic or otherwise. It really didn’t come as a surprise when the day before we headed off to the US for the summer, I saw the first signs of blight appearing on leaves. From a commercial point of view, farmers face great difficulties growing potatoes in Ireland with our unpredictable weather, as well as suffer huge expenses. Popular potatoes that we’re familiar with in greengrocers and supermarkets are likely to be sprayed 20+ times during their growing season (chemicals such as Dithane can be sprayed every 10-14 days). That’s a lot of unnecessary chemicals entering your bloodstream, however ‘safe’ they claim to be, when a home-grown chemical free alternative can be planted as an option. In an attempt to address the problems faced by farmers, under a mass of controversy, Teagasc have been growing and researching genetically modified crops in a field in Carlow. Organic farmers and growers (myself included) have been up in arms about this development, concerned that humans are being used as guinea pigs for this untested science. However, convincing commercial farmers to swap their tried, tested and popular potato varieties for blight free replacements will not be easy. In 2012 SPUDS (Sustainable Potatoes United Development Project) run by the Lifeline Project in partnership with the Savari Research Trust asked Irish growers to grow naturally blight resistant potatoes (such as Sarpo Mira) as part of their research project (I missed the press release hence the Duke of Yorks). 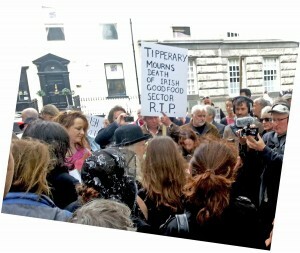 Their website www.spuds.ie is still under reconstruction so I can only assume they’re busy collating responses. I’m anticipating hearing good results given the feedback I’ve heard from other growers, as well as my own experiences of planting Sarpos. 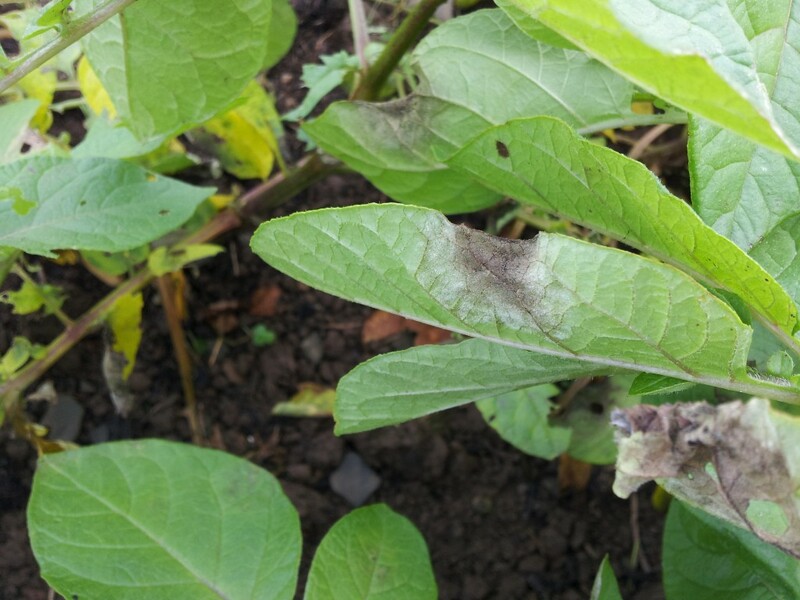 For a full list of potato varieties and their resistance to various disease including early and late blight, see the The British Potato Variety Database which is regularly updated. The following includes the popular blight resistant varieties you should be able to find in your garden centres or online garden shops along with their waxy/floury qualities – one of the first question I’m asked by people looking for advice on what varieties to sow. 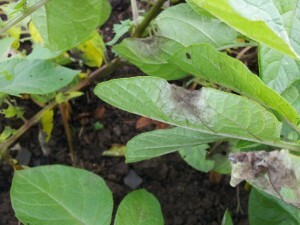 It’s important to note that the blight pathogen mutates regularly so potatoes that may once have been able to resist blight, may no longer be able to. 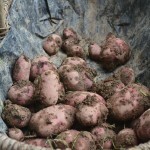 Have you grown blight resistant potatoes in the past? Did they resist the parasitic fungal disease and importantly if more people are to be encouraged to grow them, did you enjoy eating them? I’d love to hear your own experiences. I grow Pink Fir Apples because we like them but I did notice that they held up against the Blight last year far better than their neighbouring King Edwards and Desiree. It’s strange because I thought I remembered reading that they had low blight resistance? 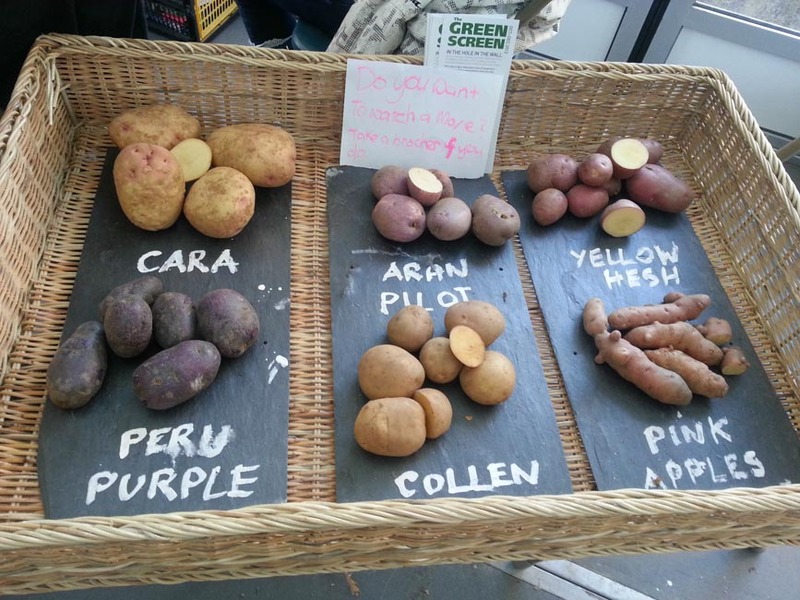 I was privileged to interview Dr Shaw of the Sarvari Trust at Garden Organic’s Potato Day. In the video he gives a description of the attributes of the different Sarpo varieties. I also interviewed Kaethe Burt-O’Dea on the SPUDS project. I will be growing Mira myself this year for the first time as well as my usual “Vivaldi”. Thanks so much for commenting and leaving the links too. Dr Shaw and Kaethe are doing such good work and I for one will be encouraging everyone I meet to try growing blight resistant potatoes this year and especially the Sarpos. I have Orla, hopefully blight resistant chitting away nicely for this year. Think it’s something we just have to accept in Ireland. 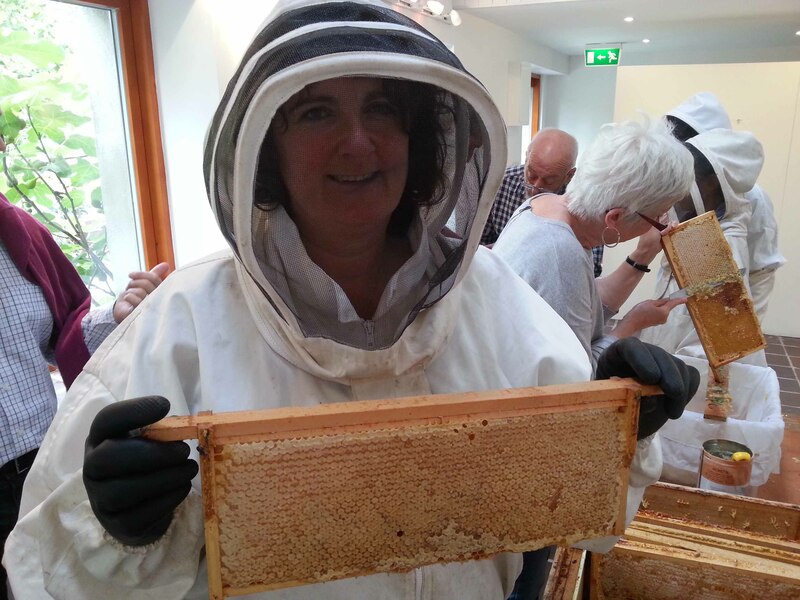 I’ve chosen Colleen this year for the earlies and Sarpo Axona’s for our maincrop. Fingers crossed for us all! The indignation felt by the writer over GM potatoes is difficult to understand if he is concerned about food safety. He says that we don’t know enough about the science of GM. Presumbaly he thinks we know all there is to know about conventionally bred potatoes. The Lenape potato was released a few years ago for its resistance to several diseases. Since the nature of the blight resistance has never been understood several people were made ill after eating it, probably due to its glycoalkaloid content. Conventionally bred varieties of potato are never tested for toxicity or immunological properties, a strange omission given that Solanum spp are closely related to some of their well known dangerous cousins such as deadly nightsade. The Lenape potato was withdrawn quickly. The more newer untested resistant varieties that are produced by conventional breeding the greater the likelihood that one or more of them will give problems. But we now live in a litigious age – can a small scale growing business engaging in conventional breeding of potatoes afford the losses incurred by claims from unsuspecting sick consumers. At least with GM we know both the nature of the gene and its protein product that can be assessed for any health problems before its released. Good luck with your new varieties – you are going to need it. Thank you for leaving such an in depth comment David. Firstly I have never claimed to know everything there is to know about conventionally bred potatoes and am well aware of the family traits of the solanaceae. I too am surprised that conventionally bred varieties of potato aren’t tested for their toxicity though from what I gather from the Savari Trust, they are constantly researching and testing their varieties for blight resistance and I would assume toxicity, given the nature of their work and as you say, potential for litigation. One of the reasons I prefer to grow blight resistant varieties is because of the huge amounts of various chemicals that conventionally grown potatoes need to survive and to provide good yields. 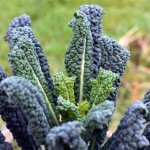 Many gardeners I work with are not aware of the enormous quantities of chemicals used during the spraying regimes of commercial producers and have therefore welcomed the option of growing their own blight resistant varieties and not spraying for blight or any other disease come to that. I have several concerns about introducing genetically modified organisms into the food chain and would like to see a moratorium brought in until more is known about them. I’m surprised that you know the nature of a GM gene given that it is an evolving science. Only a handful of studies have been published on GM crops and of those the majority have been undertaken by scientists employed by the biotech industry. There is no getting away from the fact that GM food contains genes that are completely foreign to the human diet and the long term effects are therefore untested, hence my concerns. Thanks for taking the trouble to reply. Your remaining queries about not knowing the nature of the gene suggest you are unfamiliar with the technology or how GM plants are made. The transferred gene will have been sequenced, the protein it produces characterized and any allergenic or toxic effect tested, by law, by several regulatory authorities including a number of scientific, medical and governmental committees. It is also incorrect to say that any of these genes are foreign to the human diet. The Bt gene, the genes encoding the enzyme that renders glyphosate ineffective and even the antibiotic resistance gene sometimes used ALL occur in nature. Many of them occur as aerosols so not only will you be eating them all the time but also breathing them as well. They can do no harm this way. In fact any raw salad will contain all these genes on the surfaces of the uncooked food items. – even beloved organic produce. In fact the antibiotic resistance gene is a transposon which means it can and does move around in different genomes. It’s very common and is found on the surfaces of salads and fruit. Any genes ingested will be broken down by nucleases in the stomach or large intestine. Its also not true to say that all these genes are foreign. Many GM plants are produced by anti-sense or RNA inhibition by using small segments of the native gene that they wish to silence or reduce the activity of. The errors you make are very common but then you are often blinded by your own prejudices and cannot take the trouble to do any homework to find out any more about the subject. At the same time green groups laud the implementation of organic methods but ignore the 50 plus deaths recorded and medically documented in Germany in 2011 caused by eating bean sprouts from an organic farm. I too know where my chances will be taken on my choice of food but they will be based on knowledge and insight not blind ignorance and prejudice. David, you are correct in that I am not a scientist and do not share your knowledge of genes and genomes. You are incorrect however, in assuming I do not do my homework and thanks to the work of GMwatch.org and people like Alfie McCaffrey who has taken the time to comment on this post and who seek to keep the general population informed, am able to keep up to date. in which it was revealed that a new peer-reviewed paper published by an international team from New Zealand, Brazil, and Australia in the prestigious journal Environment International, the researchers Jack A. Heinemann, Sarah Z. Agapito-Tenfen and Judy A. Carman have found that government safety regulators are failing to consider important risks of new kinds of genetically modified (GM) plants and some emerging co-technologies. “Each regulator found reasons not to ask the product developers to specifically test for effects from dsRNA, and thus relied on assumptions rather than testing to determine safety,” said co-author Sarah Agapito-Tenfen, a doctoral student at the Universidade Federal de Santa Catarina in Brazil. (Pryme and Lembcke, 2003) and what techniques are best suited. The small number of researchers in this field is spread over many different animals, varieties and species of GM plants and parameters to measure, and thus differences in practitioners’ technical expertise or knowledge of the biology, molecular biology, biochemistry and physiology involved will be an important contributor to negative results. If you can point me in the direction of long term studies that have been carried out on animals and humans that show there are no side effects from humans consuming GMO’s I will happily read them and take them on board, and again, make informed choices. Again, I reiterate, my concerns are about our choices. I would like the choice NOT to consume GM food but it appears that the large biotech choices are attempting to take those choices away from us. I am happy to continue this discussion here in an open forum and look forward to reading intelligent input from anybody who wishes to contribute. I am definitely not against GMO’s, but one wonders why e.g. the USA is so adamant against labelling GMO products as such in Europe. Sadly GMO development is sometimes taken into an unwanted direction. Monsanto e.g. making its crop resistant against Roundup so the dosage of roundup can be increased. Definitely an unwanted development. It is true that not all ‘natural’ food is safe and in fact most foods really never have been tested and say a century ago one had too fear eating bread for risc of ergotamine poisoning. The Lenape example however is a very valid one. All potatoes produce Solanine and the amount they produce can vary with the growing circumstances, but Lenape a -nonGMO- breed just had the habit of producing a lot of Solanine, no matter what. Courgettes are in fact dangerous as well. Less than a year ago a pensioner died in Hamburg after eating courgettes, home grown by a neighbour. Those courgettes contained high doses of cucurbitacine. Cucurbitacine is a natural occurring poison in wild courgettes that has virually been bred out of commercial seeds. However, if you collect seeds from previous harvests thinking you ‘know your food’ The wild type may revert and make for a poisonous meal. For those bible scholars amongst us. reference to the toxic ‘gourd’ was already made in 2 Kings 4:39-41. Anyway to summarize: food, whether “natural” or not is always a bit of a risc, but ‘knowing your food’ ps always a good idea. Established varieties have proven their safety for a long period. New varieties, whether a GMO or a breeders ‘cross’ always has the risc of introducing some unwanted aspects. Question.. are you the [Professor] David James that worked or works for the Horticultural Research International of East Maling Company. ????? Are you the Alfie McCaffrey owner of Oldfarm Poirk and Director to O’Carroll Consultants?????? Indeed you do need to be corrected. There never has been a company called East Malling. I worked for East Malling Research Station which was a Company limited by guarantee and a registered charity. It was also a subsidiary of the East Malling Trust. In 1990 Horticulture Research International (HRI) was constituted from the AFRC Institute of Horticultural Research Stations at Wellesbourne (the National Vegetable Research Station), East Malling (the East Malling Research Station) and Littlehampton (the Glasshouse Crops Research Institute), the Hop Unit at Wye College and the ADAS Experimental Stations of MAFF at Efford, Kirton and Stockbridge. I worked for both of these organisations until retirement. All my research funding came from publicly funded bodies (i.e. the taxpayer) including BBSRC, DEFRA and the EU. I was not paid to promote anything other than good science and to get it published in peer reviewed journals. The promotion of our work was done by press officers and the media. I was asked to speak on the subject by others which is not the same as self promotion. The work on prevention of tooth decay was the original idea of Guys Hospital Dental School who asked us to work with them and provide a suitable fruit test vehicle. This work was also publicly funded. Whilst working, as in retirement, I had nothing to gain or lose from working on the technology. Also, and unlike you, I had nothing to gain or lose from the success or failure of the technology. I am surprised as a pig farmer that you have the time to indulge in this sort of correspondence. My father in law was a pig farmer and he barely had to time to write a letter yet alone spend his time arguing with others on the internet. This is my final statement on the matter and if you have any sense it will be yours as well. Oh dear me..have I pushed a “Sensitive” button??? Think I shall stay in the kitchen as the heat does not bother me. As to sense, well the common variety strongly insists that full lifetime research be undertaken on all GMO prior to release either as animal ration or included in the diet of man. Existing 90 day trials as undertaken by the GM manufacturers are not sufficient to determine long term safety. Profit before prudence seems to be the motto of these companies. Challenging questions have been raised by respected sources world wide regarding the long term effects on animal and human health let alone the biodiversity of our home. Not one [that is none] of these questions have ever been answered by the manufacturers or their supporters. Their response to the concerns and questions of Árpád Pusztai. Gilles-Eric Séralinia, Jack Heinemann, Sarah Agapito-Tenfen and Judy Carman etc, has not been forthcoming. Rather threat of litigation/duress/withdrawal of funds/villification seems to be the stock answer. Indeed Sir my understanding of science is to question , observe and evaluate. and to assess and re-evaluate any findings if called into question . All scientists have a moral obligation to protect man. Sadly Sir it appears that in the Bio tech Industries modus operandi of today, this morality is lacking. As you wrote, your prior answer was your last. I can and will assure you with regards to GMO’s this is not my last question or comment..
Until the research overwhelmingly shows that GMOs are safe for animals and humans, I too will continue to question their safety and to continue to inform people so that they can make their own minds up and chose (where they have the option) whether they wish to consume them. I am having a hell of a time finding Sarpo Mira in the US or who ship to the US. Can anyone point me in the right direction? The Sarpos are bred in Wales by the Savari Research Trust. You could try contacting them directly. I’m not sure if they’re available in the US but they might be able to offer alternatives if not. This year we’ve grown Sarpo Mira as well as the not-blight-resistant but delicious floury Arran Victory. 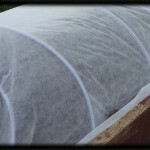 The Sarpo Mira’s do hold up well against blight – highly recommend! Wonderful debate above about GMO. It’s a shame David James has to be so incredibly patronising and rude. The bottom line, as you mentioned, is that corporations should not be taking our choice away, and as the labelling debate in the US highlights, we should be able to know what is in our food so that we can make those choices. You’re welcome and glad you read the comments too, yes it is a shame but that’s the nature of GMO – very hard to debate without being emotional. Good to hear of other varieties that hold up to blight as well, thanks for sharing.